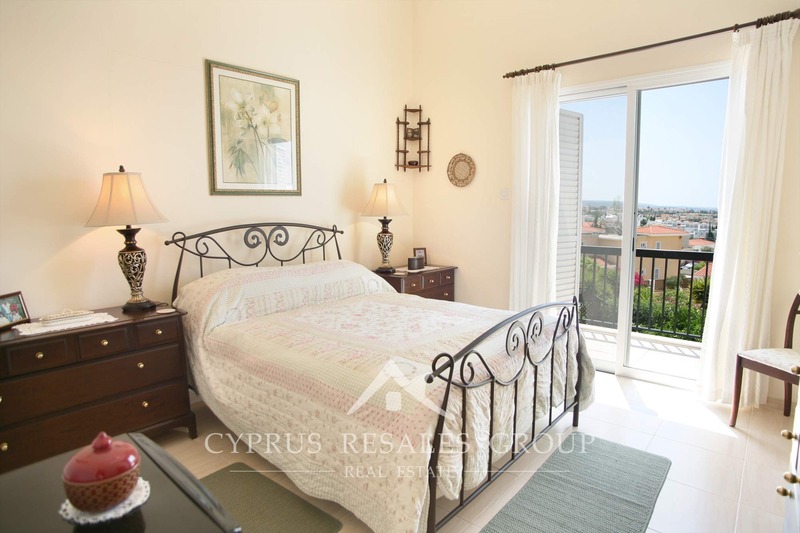 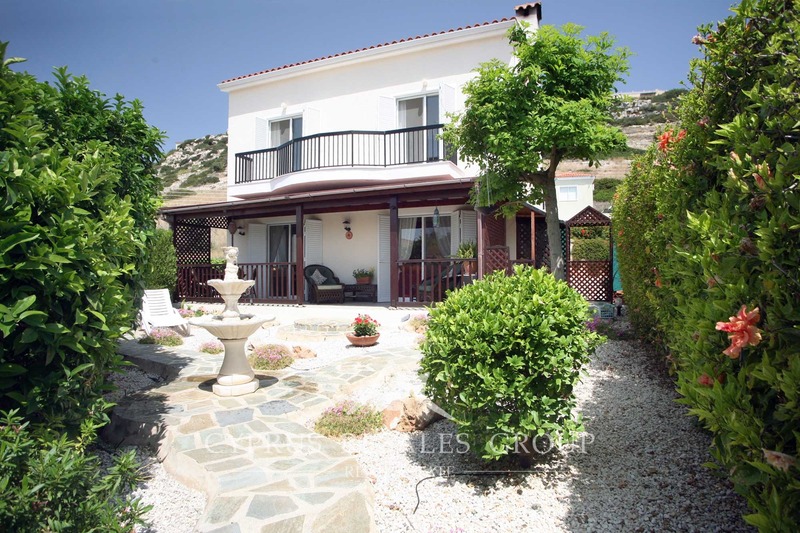 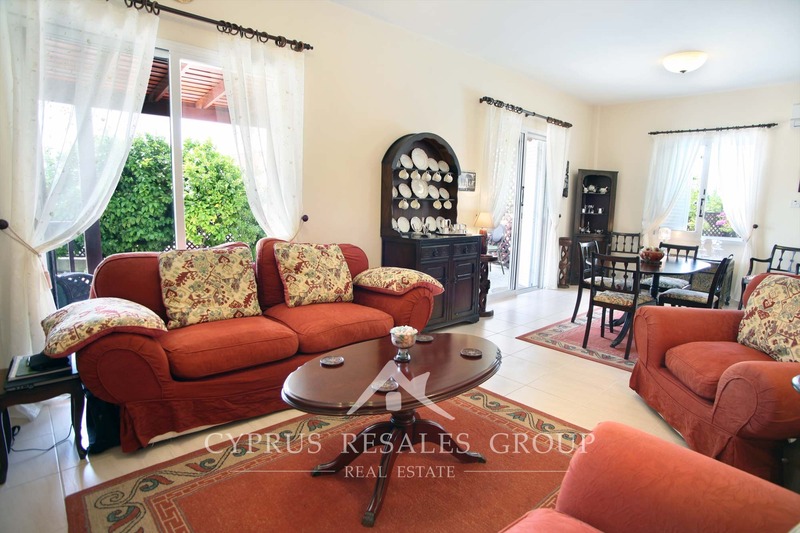 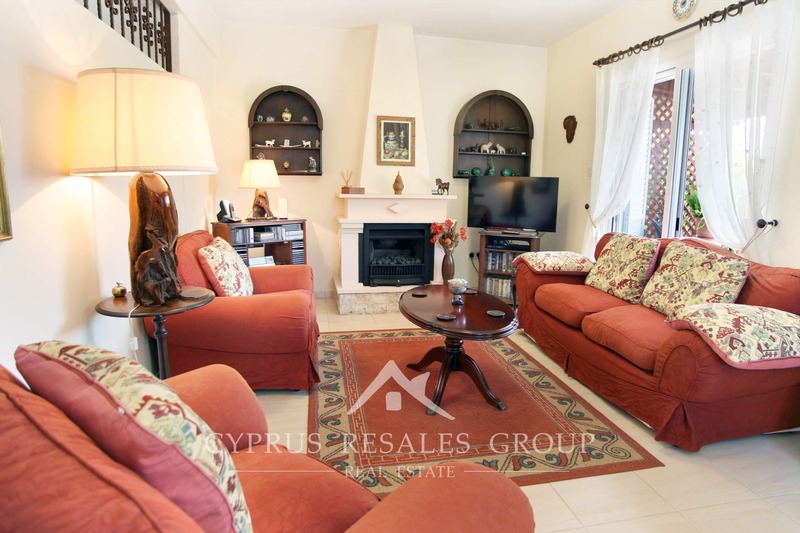 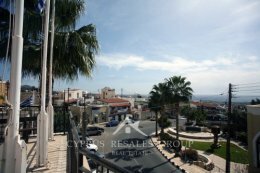 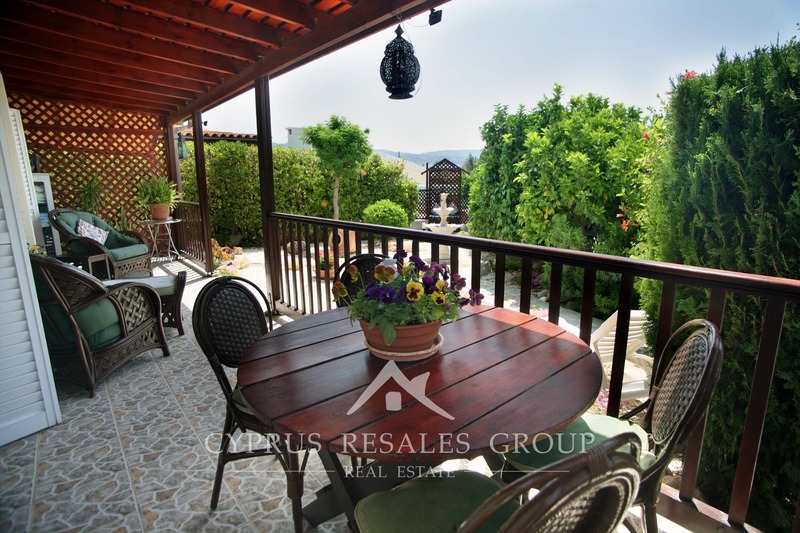 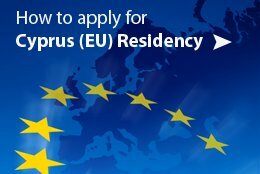 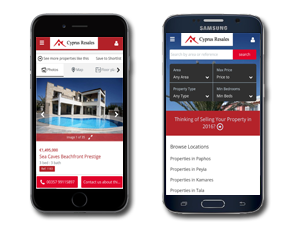 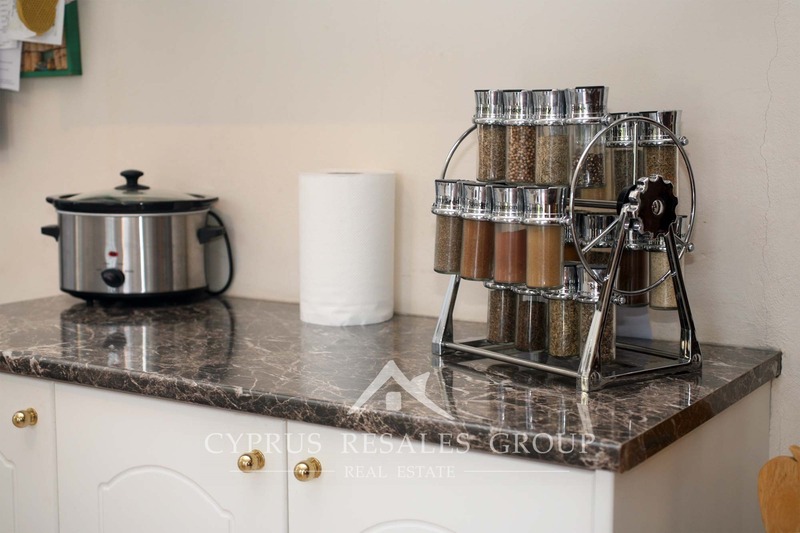 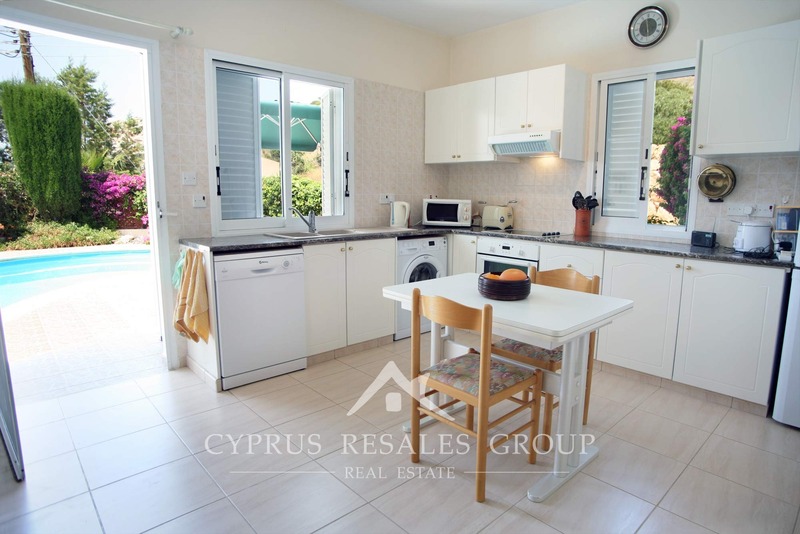 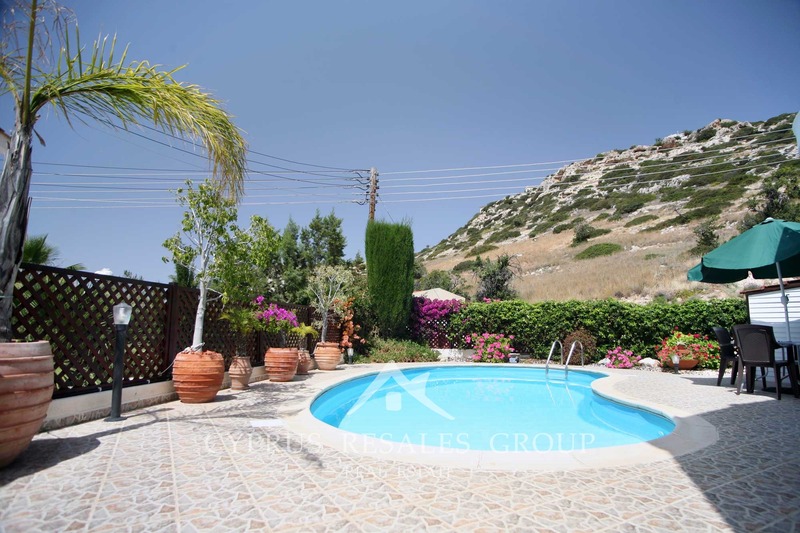 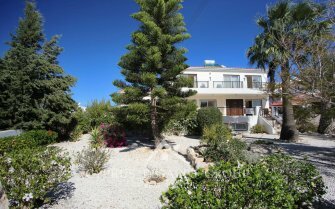 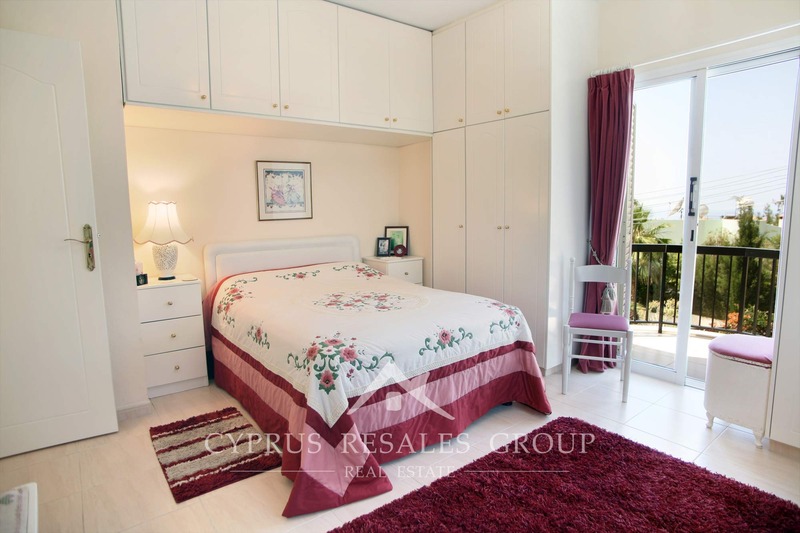 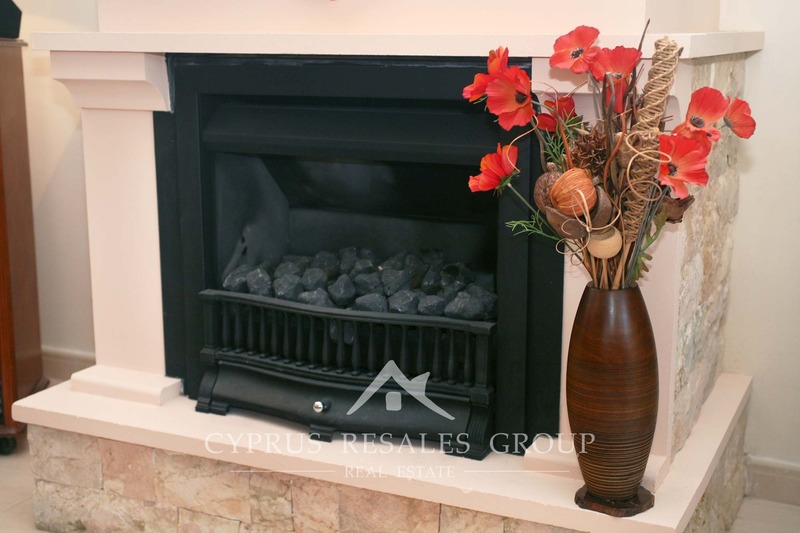 Cyprus Resales, the leading estate agent for resale property in Paphos, are happy to bring to the market this 3 bedroom villa in the popular coastal village of Peyia. 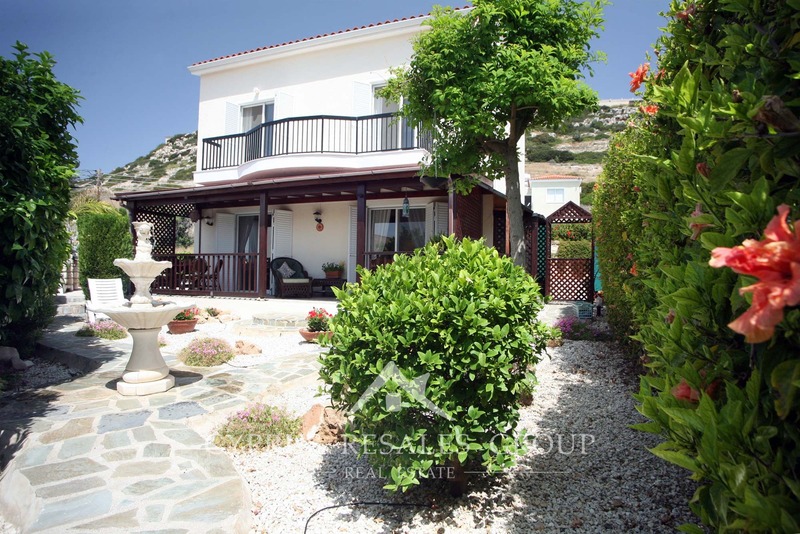 Located in the quiet residential area with a perfect South-westerly aspect this Peyia villa has excellent sea views across the Paphos coastline and of the rocky mountain slopes. 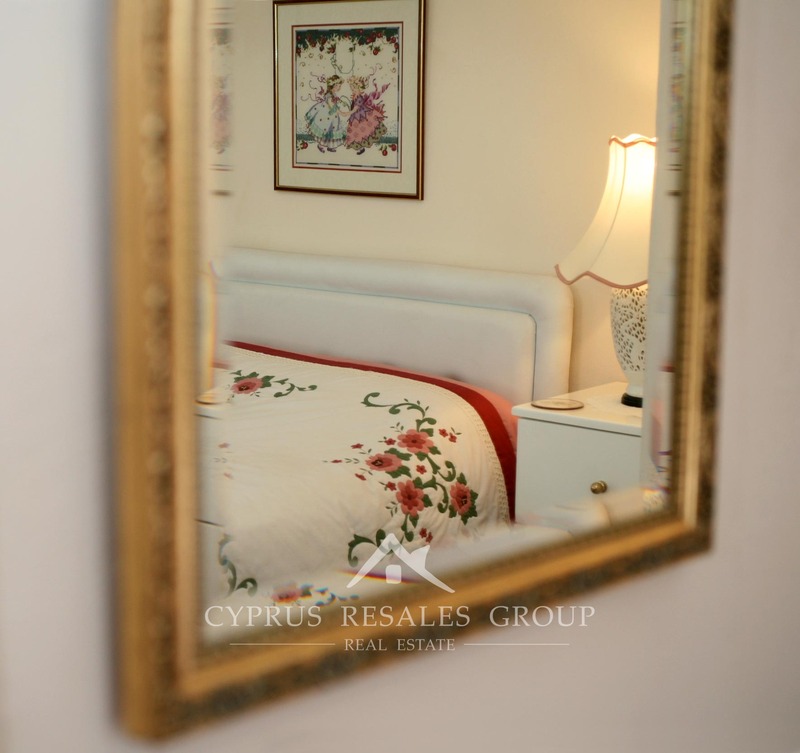 Peyia village gets top marks for amenities including supermarkets, bakeries and banks all of which indicate Peyia’s status as a fully functional municipality. 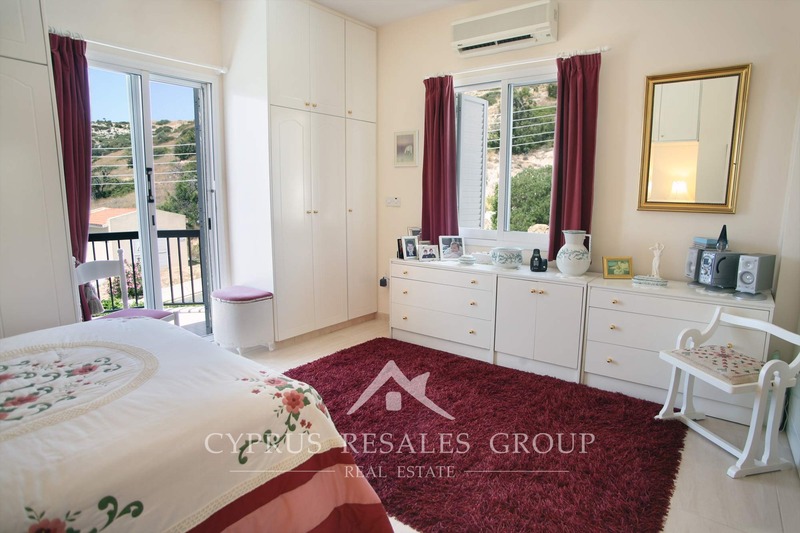 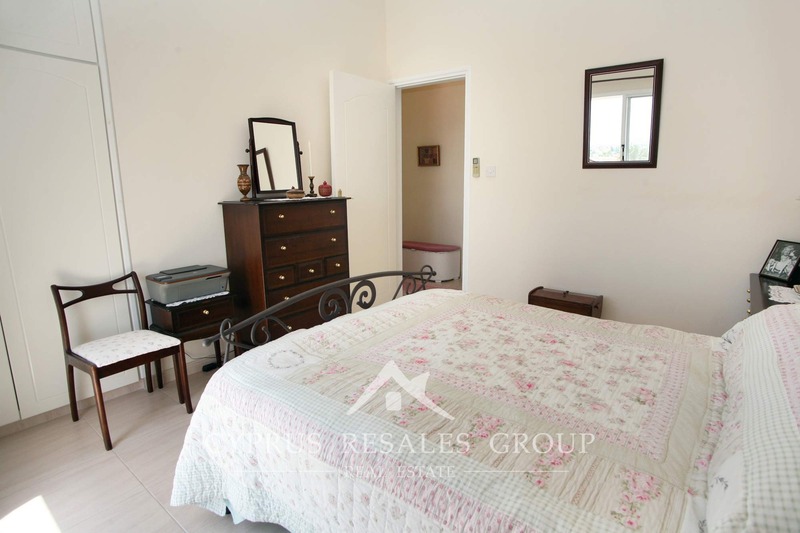 With Coral Bay being only a few kilometers away and the spectacular Akamas nature reserve also nearby you will have your hands full with all that Peyia as to offer. 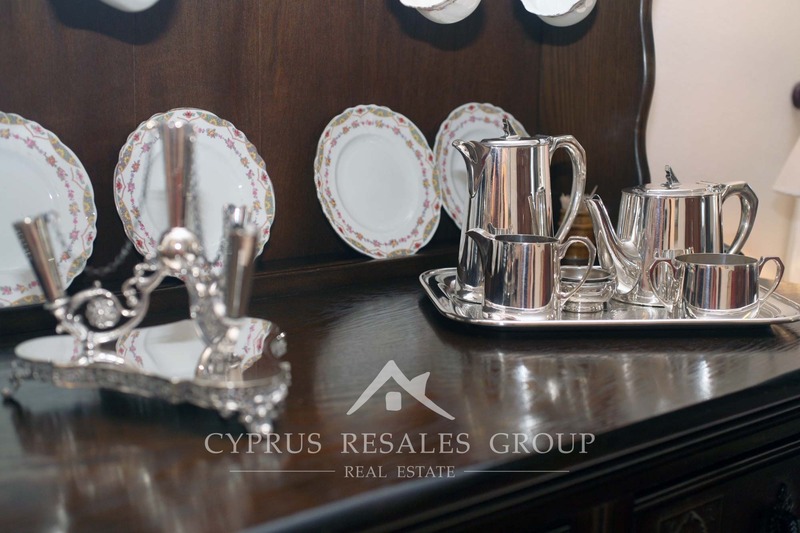 An entry hall is often forgotten by Cypriotbuilders, but highly respected Maispa Developers together with the current owner of the villa have successfully incorporated a formal hall into the general layout of the ground floor. 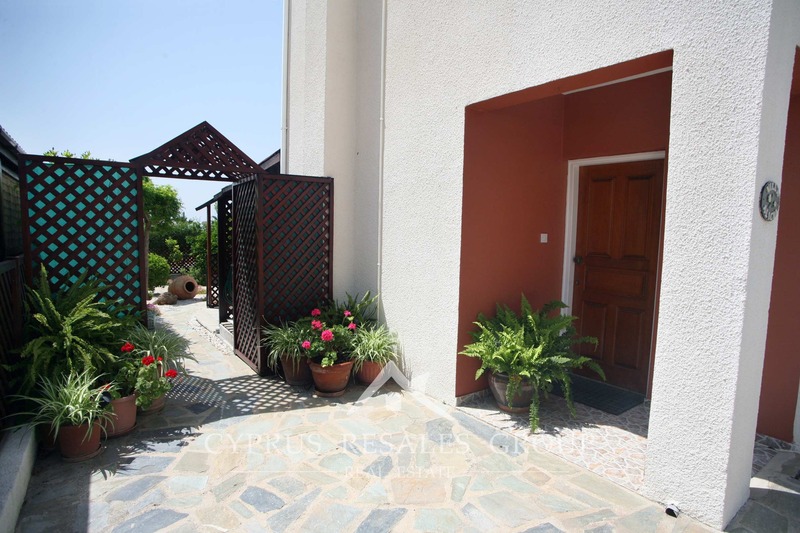 Practical entry hall enhanced by unique iron features leads to the very spacious and well finished kitchen overlooking the pool terrace and lush gardens. 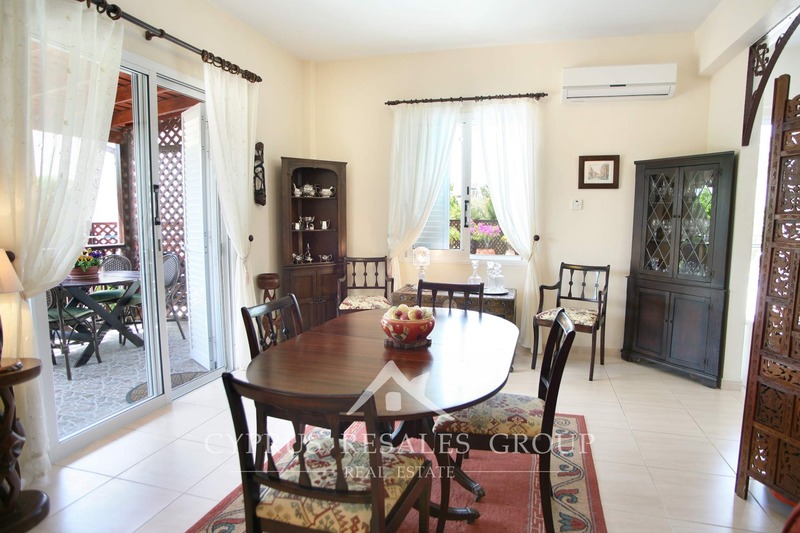 The living-dining room is immediately adjacent to the hall. 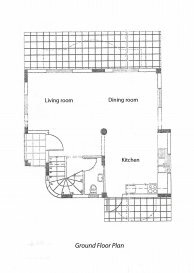 Feature fireplace and two sets of patio doors opening onto a covered veranda with garden oasis vista will please your eye no end. 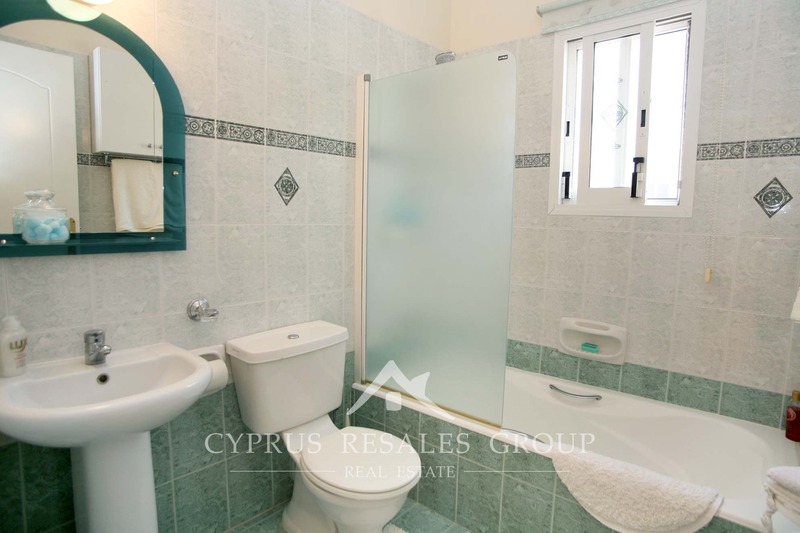 Back at the entrance there is a shower and toilet as well as useful downstairs storage area. 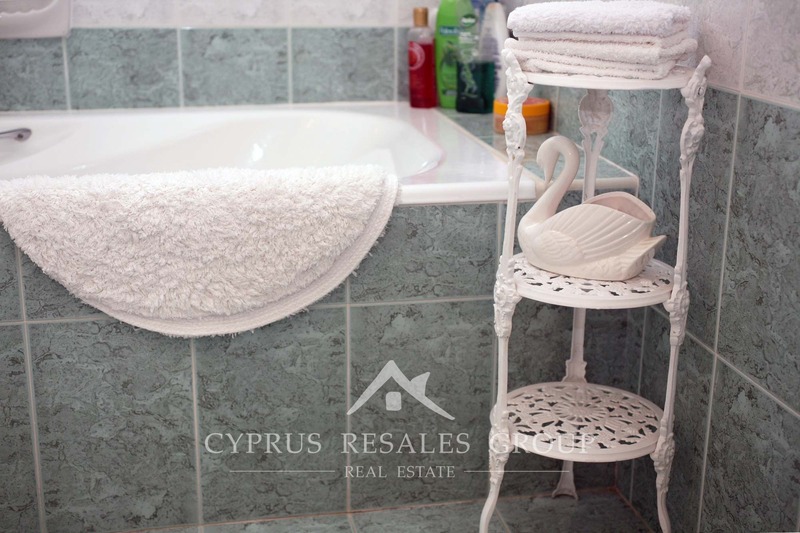 The staircase to the upper floor is a delight, with marble steps and beautiful wrought iron hand rails. 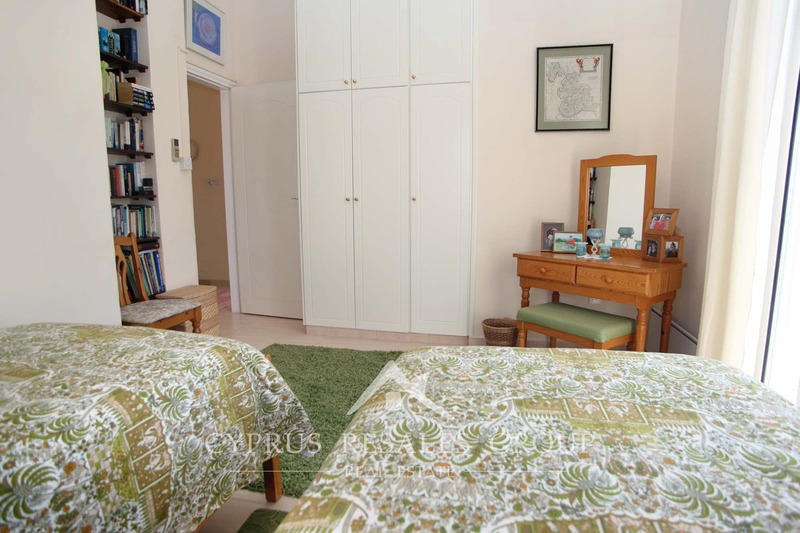 Once upstairs we have three good size bedrooms; master with en-suite shower. 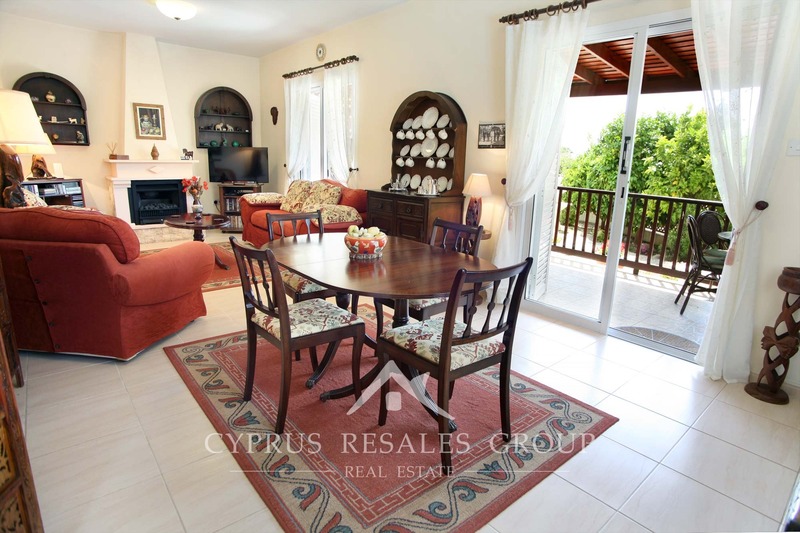 All bedroom benefit from ample built-in wardrobes and large balconies with a mixture of the afore mentioned sea and mountain views. 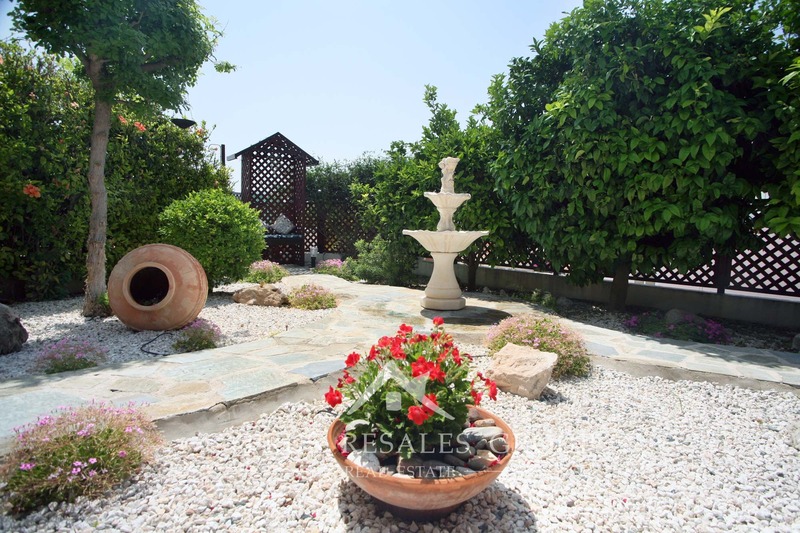 The Mediterranean lifestyle is famous for the outdoor healthy lifestyle. 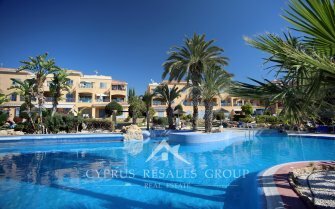 Here fresh air, fresh fruit and vegetables and ample sunlight combine to improve not just your mood, but the quality of life. 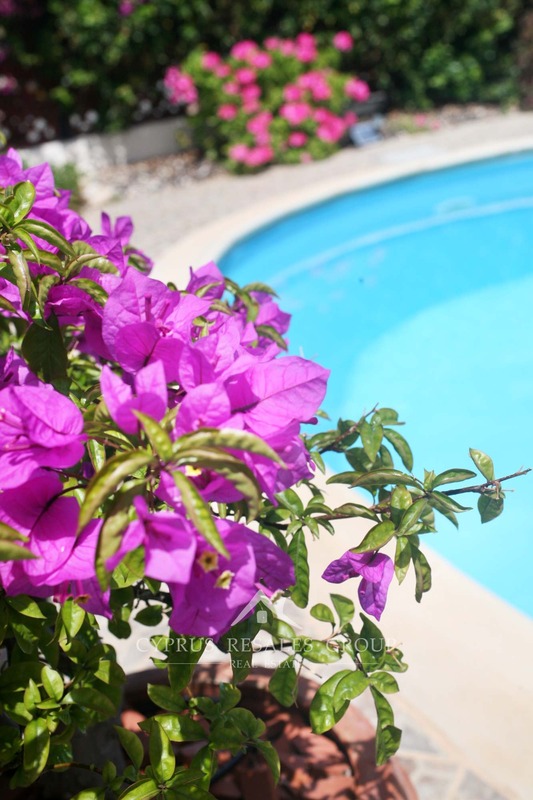 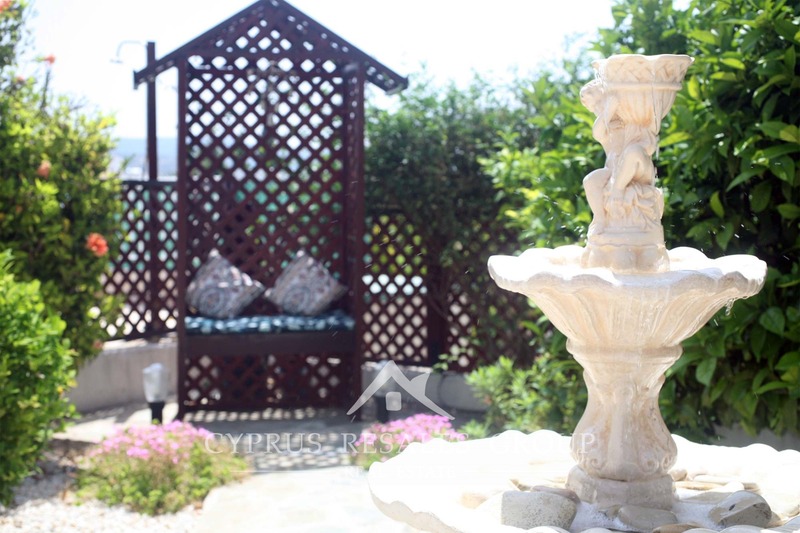 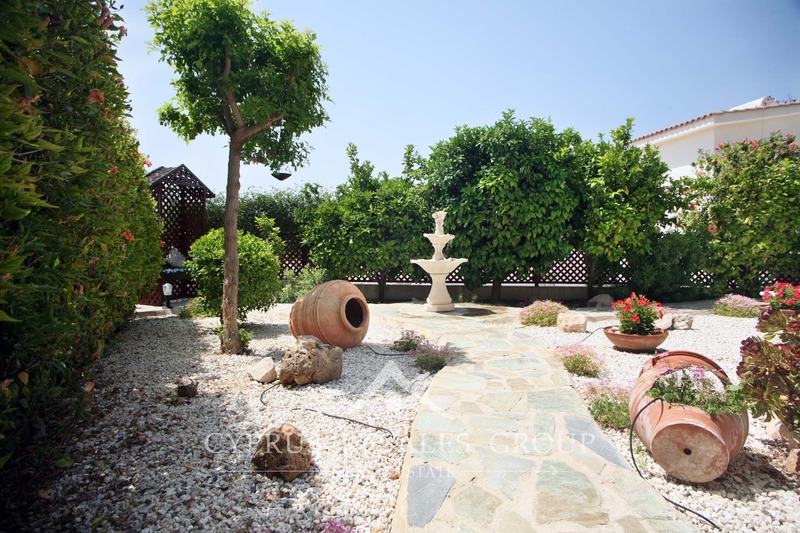 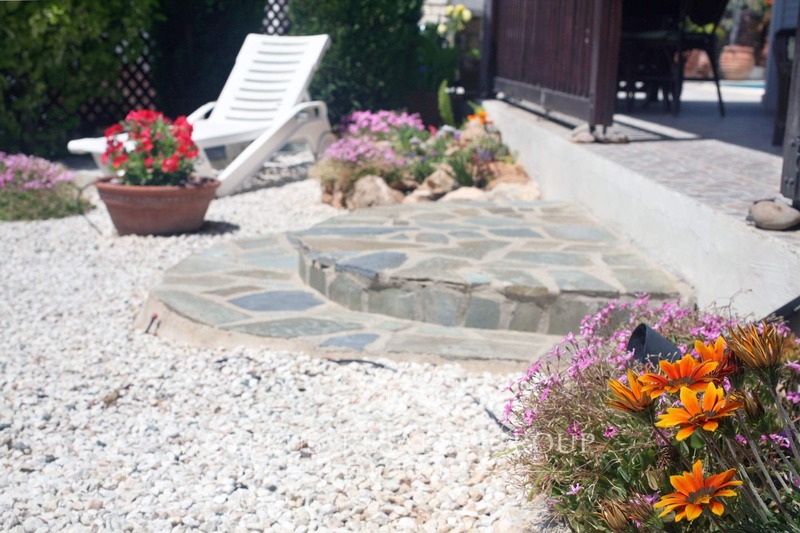 Villa offers numerous outdoor areas for peaceful recreation. 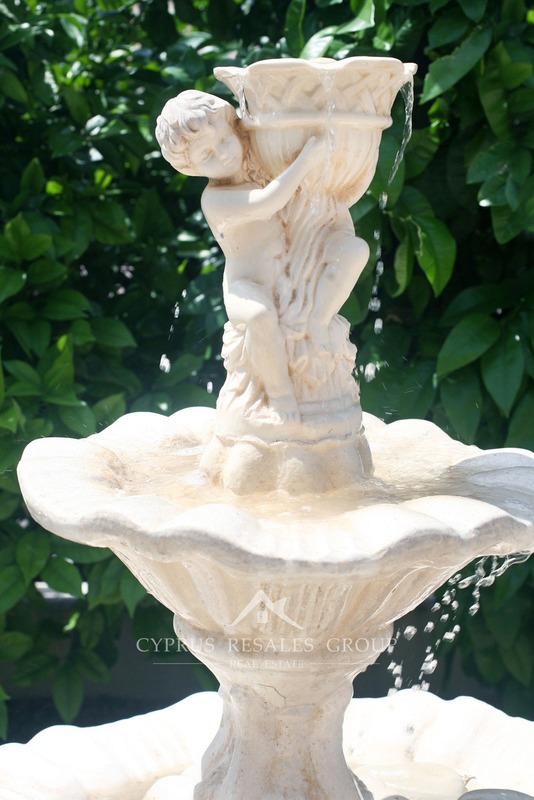 You can sunbathe on the terrace by the pool or relax listening to the birds and gentle murmur of the fountain in the private garden. 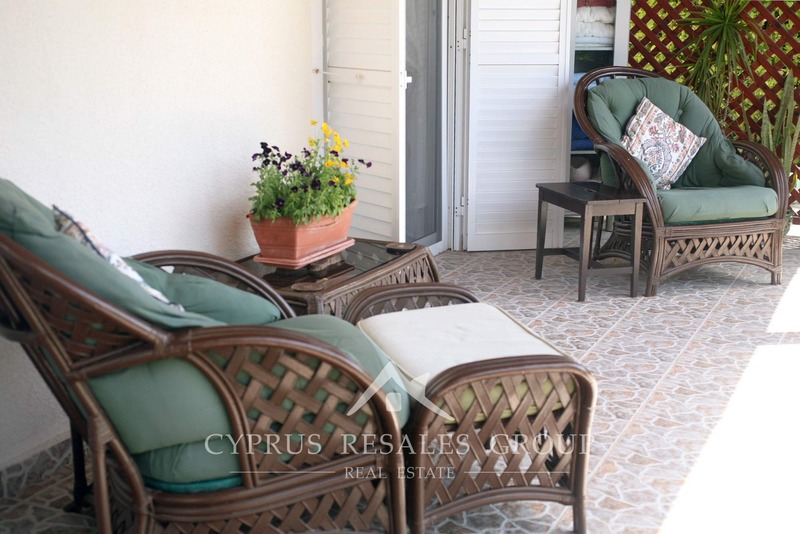 Whether you choose to buy for permanent residence or a as holiday home this villa will provide a peaceful environment for you and your family. 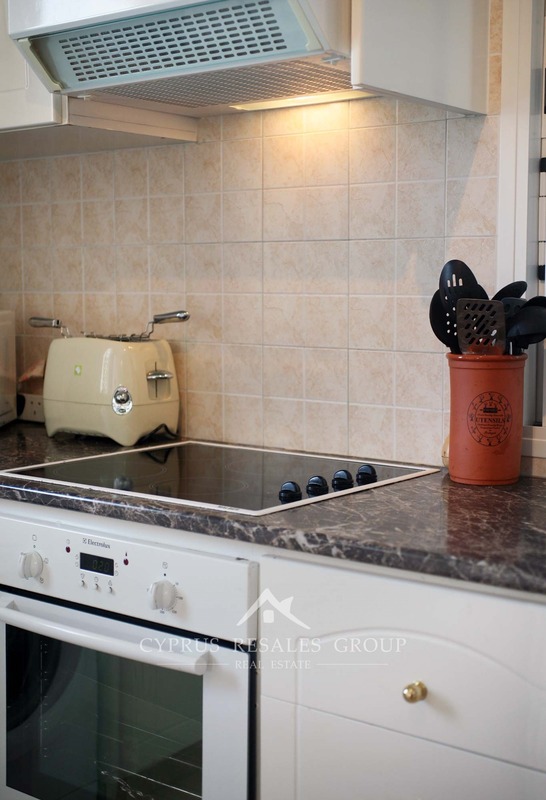 FULL TITLE DEEDS, tranquil setting, unique features – early viewing is highly recommended.